A former pupil of Tiffin Boys’ School, Kingston, Andrew Daldorph graduated with a first class honours degree in music from the University of Southampton in 1993. He then took up the post of Organ Scholar at Guildford Cathedral under Andrew Millington and subsequently gained Fellowship of the Royal College of Organists. Andrew took lessons from some of the world’s most eminent organists, including Peter Hurford, David Hill, David Sanger and Dame Gillian Weir, and on the harpsichord, he studied with Robert Woolley. He frequently gives recitals and has played for services and concerts in cathedrals and concert halls throughout the country. He is the conductor of both the Exeter Chamber Choir and the East Devon Choral Society. Notable performances have included Bach’s B Minor Mass in Exeter Cathedral with Devon Baroque orchestra, Mozart’s Requiem, Bach’s Magnificat, Brahms’ Requiem and Orff’s Carmina Burana. Andrew has arranged a great deal of music and is commissioned regularly to compose original pieces – mostly choral or jazz. Both his Devon-based choirs regularly perform his arrangements and compositions, from Christmas songs and carols to jazz standards where the voices might be mistaken for a Big Band. His new work – Songs of Hope and Creation - is a modern oratorio and had its première in the spring 2008 and was performed in Exeter Cathedral in October 2009 receiving a standing ovation and much critical acclaim. 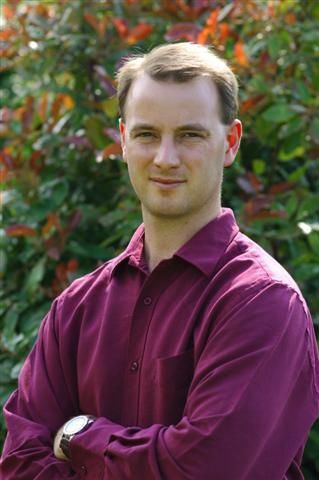 Andrew teaches piano, organ and singing privately and at Exeter School. To relax, he enjoys playing jazz piano with his trio at functions across the UK and abroad.